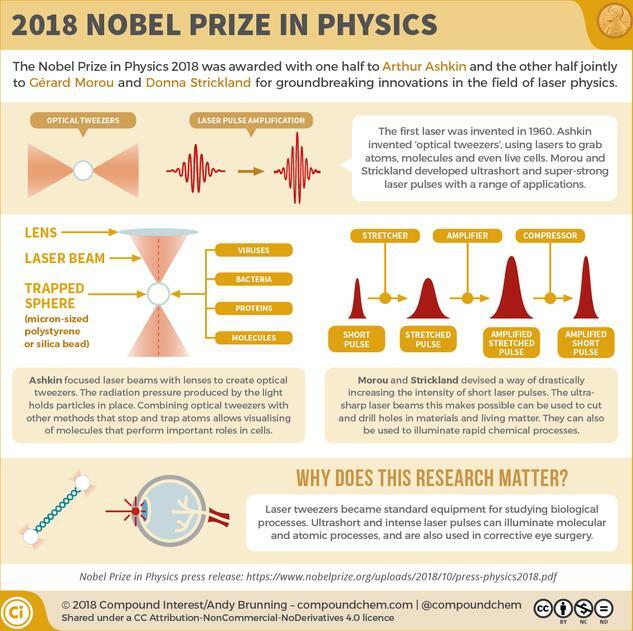 After the Nobel Prize for Physiology or Medicine has been awarded, it is physics' turn. 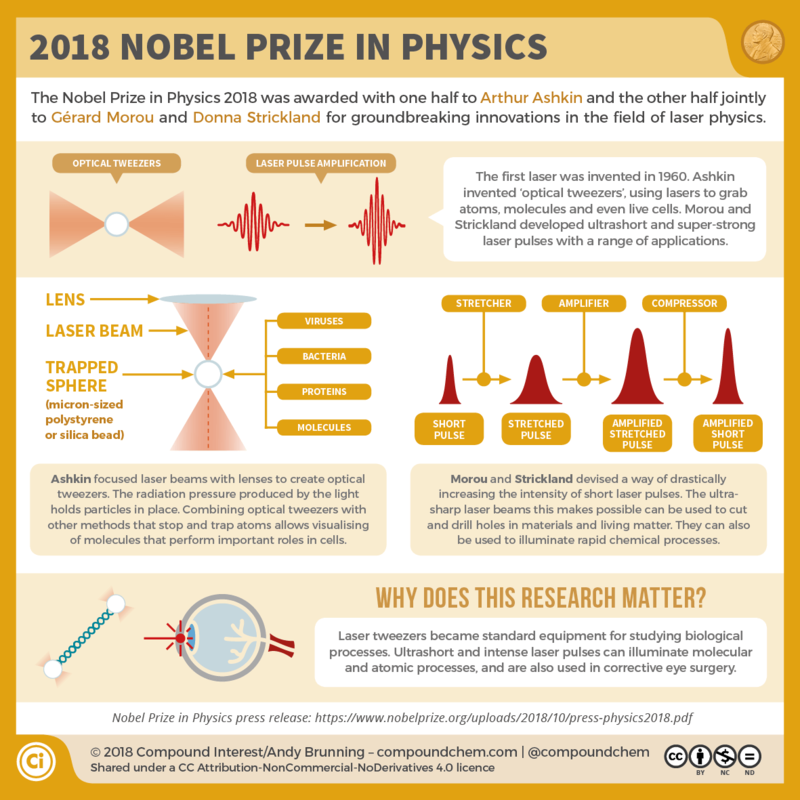 The 2018 Nobel Prize in Physics was awarded to Arthur Ashkin, Gérard Morou and Donna Strickland for their pioneering innovations in the field of laser physics. Strickland is only the third woman to receive the Nobel Prize in Physics and the first since 1963. This graph takes a look at the award-winning research.